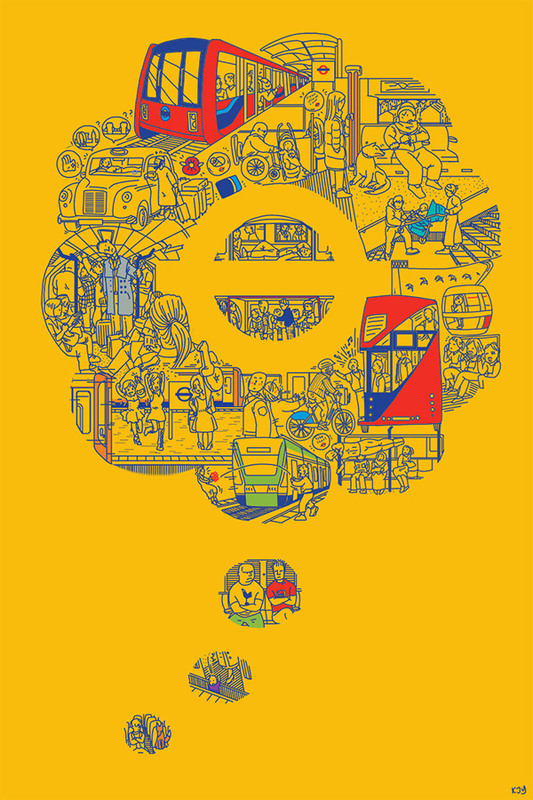 Transport for London put out a call for Creatives to illustrate its transit systems for the upcoming year. TfL has many forms of transit, other than mere Underground and Buses, that deserves its presence be known. Their object was to find a solution to highlight the convenience that such transits bring to the people of London. My work strives for simultaneous narratives in one un-uniform composition. My solution to the brief was to depict as many stories as I can about the experiences in such transits, both good and bad. Everyone has a story to tell about their time in TfL. The conglomeration of stories gathered as a big thought bubble to depict the whispering tales of TfL, each car depicted in representative colours. The poster was not made for Transport for London.